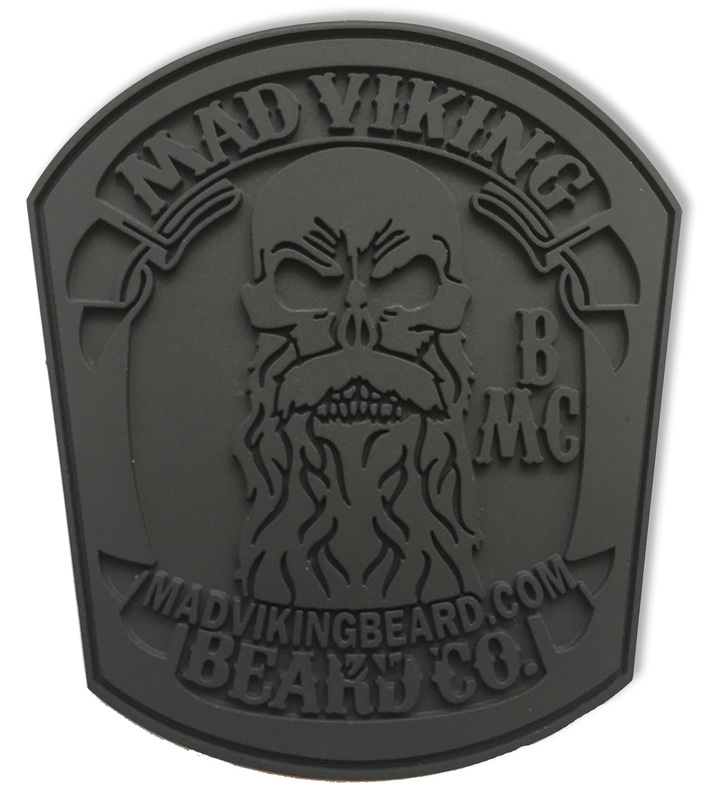 Mad Viking PVC Morale Patch - Mad Viking Beard Co. This Mad Viking PVC Morale Patch measures 2″ wide x 2.25″ tall. The morale patch is matte black and imprinted with our original “Skully” logo. It has no Velcro backing to give the purchaser the choice to apply Velcro or go without to keep the profile of the patch lower. The outer edge has a sew channel to hide the thread once sewn on. This patch is a perfect fit for vests, jackets, shirts, hats, beanies or just about anywhere you want to show your love of the horde! Check out our new Mad Viking Logo patch!